Do you have leftover pasta and don’t know what to do with it? This recipe is perfect for that extra pasta you have in the refrigerator. Making this dish is super easy and doesn’t make too much of a mess. You can pretty much put anything in a pasta frittata; herbs, veggies and more. This is also great for the next day for lunch. I hope you enjoy. In a large bowl, whisk eggs, cream, herbs, cheese, salt & pepper. Next take the pasta and incorporate everything together. In a medium nonstick skillet, over medium heat add 2 tablespoons of oil. Pour mixture into the pan and cook for 8 to 10 minutes until the edges begin to brow. Next run a spatula all around the skillet. Take a dinner plate and flip the frittata over on the plate. Then add the last tablespoon of oil on to the skillet. Carefully slide the frittata back on to the skillet. Cook for an additional 5 to 7 minutes. Place on a cutting board or plate and garnish with more fresh parsley and cheese. Cut into wedges and enjoy. Next Post The Brewer’s Plate! Such a great comfort food. 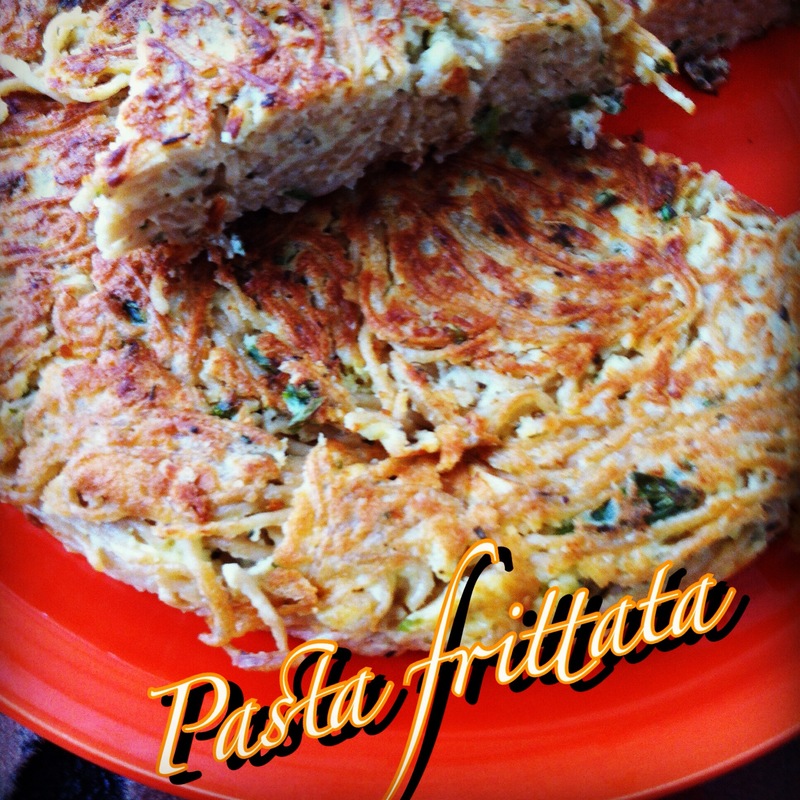 I have tried this and yes it is good, you can make a frittata out of just about any left overs. I have found Corn beef and cabbage with potatoes makes one of my favorites. If you put a pan on top of the frittata with a brick in it to weight it down, if flattens it. I’ve got about 2 portions of extra pasta from my dinner last night and was trying to think about what to do with it! Great idea – thanks! !